Are you a great auditioner? How do you feel when you read for a Casting Director? Do you know what a job getting self-submission should look like? Your best acting needs to show up in your auditions! Our actors blow the competition away with professional skills that get them booked. Acting for Sitcoms 2 picks up right where AFS 1 ends. Now we focus on room winning audition and self-taping technique. Work with the camera mulitple times in every class. Actors are hired off of digitally recorded performances, sent from Casting to Producers via links. There are no ‘tapes’ anymore and actors often have to submit their auditions themselves. We’ll continue to deepen your understanding of The Heroes and Heroines of Comedy and our iCAMERA method of script analysis. Working actors know how Casting sees them. You will receive clear, personalized guidance on your type and branding. We will help you sell yourself to the Industry! AFS 2 is on-going so you never have to wait for a start time! 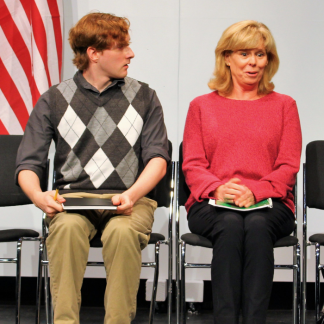 We’ve innovated the level system within an acting program by making it completely flexible. Skillfully incorporating smart script analysis, refined characterizations, professional level performance and audition technique takes varying amounts of time for different actors. We get that. We designed our PATH so you will feel successful at every point. We think you should move to the next level when it makes sense. What doesn’t make sense is moving on just because that’s what the program dictates. Neither does it make sense to repeat a level and start from scratch with the same information and new classmates. When you’re guided by Industry Experts and trained like an acting athlete, your odds of booking go up. Way up. Stay in a safe environment you are familiar with before you move on. All of our faculty are glad to become your mentors in the craft, not just an instructor you had in a class. The PATH at Actors Comedy Studio is a system you can trust with a personal touch other acting and comedy programs lack. Acting for Sitcoms 2 has three different times to choose from. Pick one as your anchor class and the other class times are available for make ups. You will work on-camera with playback every week. The combination of feedback from the instructors, combined with watching your recorded work is invaluable for a career in TV and film comedy. ACS has access to all the comedy pilots that are sold to the networks and streaming services each year. We practice with material that is currently casting. Our students are always up to date on the tone, temperature and taste of comedy in the current marketplace. AFS 2 is the place on our PATH where you discover your unique voice in comedy and train to execute it on-camera anytime, anywhere. To get in class just call or email. $390 for six weeks of classes. As you continue, you simply renew each six weeks. If you have acting training and/or a theater degree prior to starting at Actors Comedy Studio, we recommend spending a minimum of 12 weeks in AFS 2. If you started your acting training here at Actors Comedy Studio, we strongly encourage spending a minimum of 18 weeks in AFS 2. Master Class interviews are accepted by request on an individual basis. Prerequisite: Acting for Sitcoms 1 or interview with faculty member. The vast majority of our students take Acting for Sitcoms 1 before entering AFS 2. Occasionally returning students or new students with equivalent training or on-set experience bypass AFS 1 and begin here. If you’re unsure where to start, talk to one of our faculty. We will meet with you at no extra cost. Email info@actorscomedystudio.com or call 323-302-9152 to set up a time. Class is limited to a maximum of 14 students. You can make up in one of the other classes that week. For each six-week payment cycle, you can also choose to push back one class. In order to maintain class integrity, we do not allow auditing. 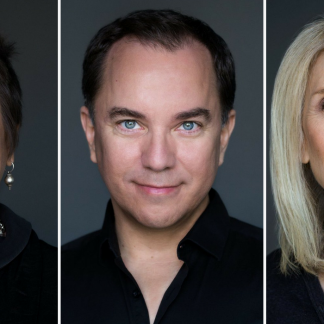 If you would like to meet with one of our instructors for a brief, in-person meeting to ask questions and see our studio in person, you can email us at info@actorscomedystudio.com. It’s been a while since I took a class. Where should I start? Acting for Sitcoms 1 is strongly encouraged for most actors who train at Actors Comedy Studio. 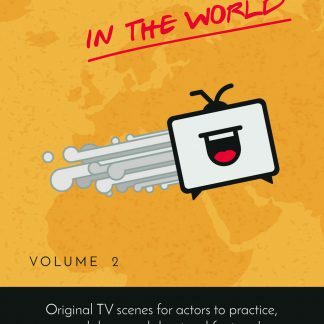 Our method for working successfully in TV comedy is thoroughly explored in AFS 1 and is challenging even for actors with a theater degree or a collection of various acting training. Advanced and working actors are welcome to begin in Acting for Sitcoms 2 or Master Class, depending on experience and instructor approval. Your spot in the course is not secure until full payment is received. For Acting for Sitcoms 2, you can register and pay in person or by phone with credit card, debit card, cash, or check. How often does Acting for Sitcoms 2 meet? Once a week for six consecutive weeks.